Click on the Artist's Name to see more of their work. 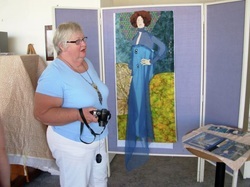 Enid has used fabric painting, quilting, acrylic painting and watercolour painting in the Ripoff Artists challenges. 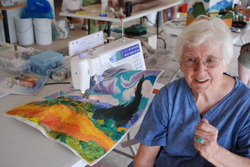 Dianne uses quilting, fabric piecing, embellishment and other techniques to create her Ripoff artworks. 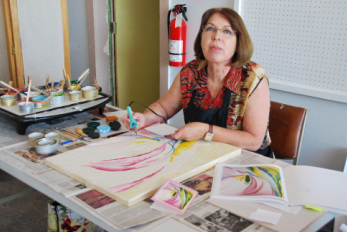 Thea works with encaustic, wax melted onto a hot surface, an ancient artform with many enthusiastic modern masters. Kurt has created something unique and surprising every year for the Ripoff Artists, using found objects and combining painting with sculpture. 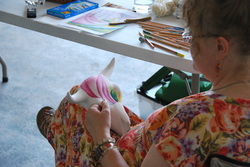 Terry has used wet felting, needle felting, wire sculpture and knitting in Ripoff Artists challenges. 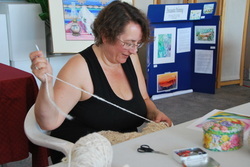 Barb has used weaving in all of her Ripoff challenges, along with embellishments such as hand-made fringe. 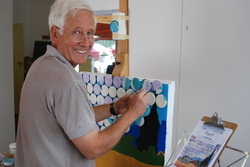 Leo created a three-dimensional wood piece for the Ripoff challenge in 2010. 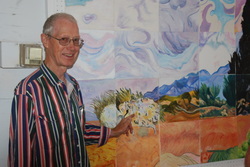 He also participated in a painting challenge organized by the Oliver Sagebrushers in 2007. 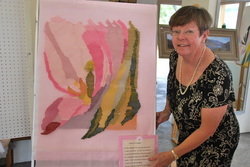 Marion makes collages using paper from magazines, as well as handmade paper and found objects. 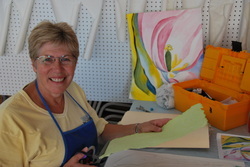 JoAnn has used acrylic paint on wood furniture, and watercolour on ceramic for the Ripoff challenges. 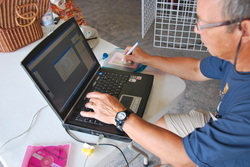 Russell has used Photoshop to create a digital collage, as well as mounting a three dimensional photographic piece in 2010. 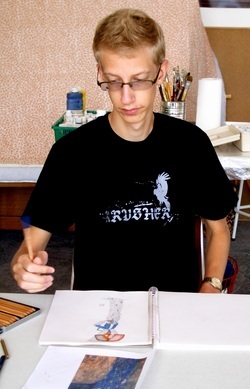 Adam Silbernagel is a talented student who joined us for the 2008 Gustav Klimt project "Emilie Floge".